I have always wondered why the name ‘Molly”, perhaps the name of the inventor. 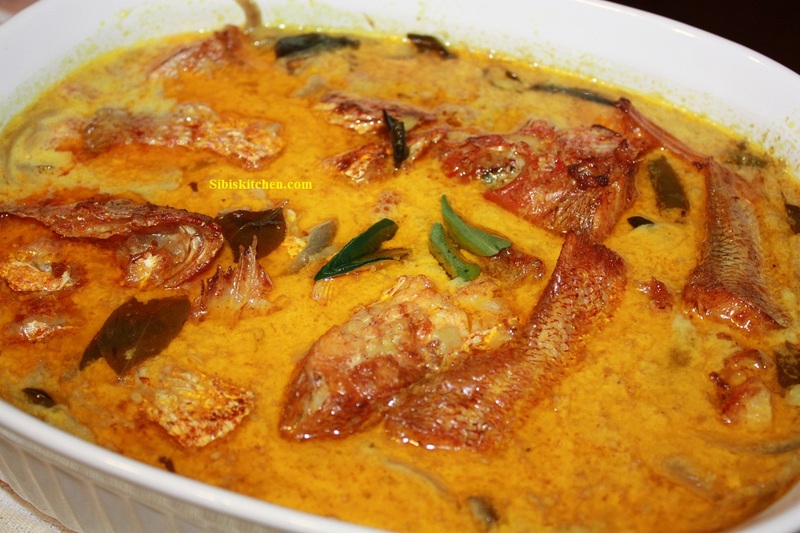 A Molly aunty from Kottayam or Pathanamthitta would have made this dish for the first time.Vellappam and fish molly are a great combination. 1.Marinate the fish pieces with paprika, turmeric powder, salt & lemon juice. Refrigerate it for an hour. 2.Shallow fry the marinated fishes in batches. 3.Heat oil in a pan. Add crushed ginger- garlic & green chillies. 4.Add curry leaves,chopped shallots & sliced onions. Once the onion becomes soft ,add turmeric and garam masala powders.Then add thin coconut milk.Allow it to boil for sometime. 5.Add the fried fish pieces & add salt. When the gravy becomes add chopped tomatoes. 6.Once the tomatoes are cooked, add thick coconut milk & just warm the gravy for a while and serve it with Ghee rice or Vellappam.